Wedding Cummerbunds or Prom Cummerbunds. 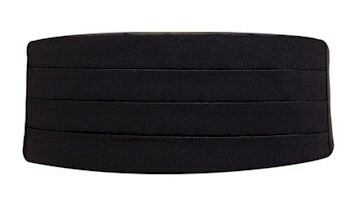 BLACK Cummerbunds $9.95 each. cummerbunds, vests, and suspenders available in black and a variety of colors.